For all the Dodge owners in San Diego, John’s Automotive Care is your best option for auto repair. Why? Our auto mechanics are either ASE-or Master-Certified, which means undergo rigorous training to keep up with today’s automotive technology. In addition to auto repair excellence, we’re committed to ensuring your experience with us is seamless. We offer a shuttle service, discounted rental cars, and an inviting and bright waiting room, complete with a play area, doggie treats, and free WiFi. Dodge vehicles are sturdy, dependable cars, but they are, unfortunately, not invincible, and they will require auto repair from time to time. When that time comes, John’s Automotive Care is here to help. Our auto mechanics will step in to ensure you can continue to rely on your Dodge. You can also depend on the auto repair performed by our team. We offer the NAPA Autocare Peace-of-mind Warranty of 36-months/36,000-miles, which is honored at locations throughout the nation, including our San Diego-based auto repair shop. 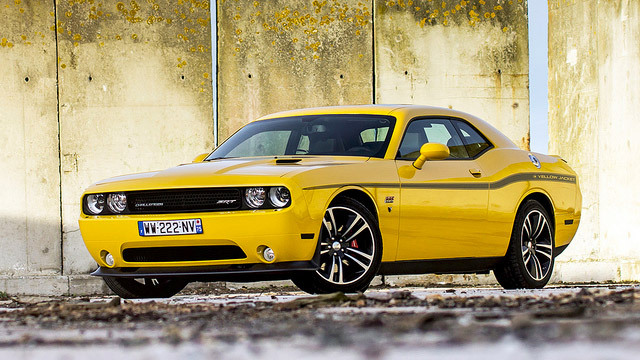 This warranty is a testament to the quality and reliability of our Dodge auto repair service. “Always personal, one on one keeps you updated clean working conditions!” -- Susan & Michael B. Dodge owners, like you, know they can rely on receive stellar auto repair and customer service at John’s Automotive Care. Our highly-qualified and trained auto mechanics are leaders in the automotive industry. Our team consistently earns fantastic reviews and testimonials from satisfied clients and takes great pride that clients choose us as their leading auto repair service center. We hope that you choose us as your premier car repair service center, too. To schedule an appointment for your Dodge service, call us at (619) 304-0815. Visit John’s Automotive Care at 6267 Riverdale Street, San Diego, CA 92120.